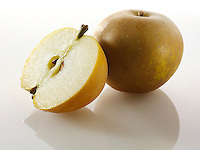 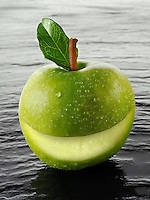 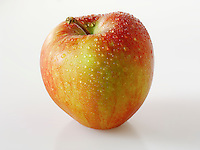 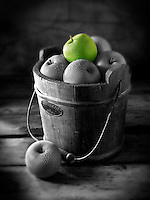 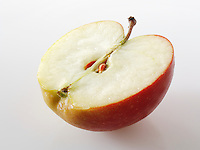 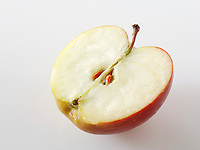 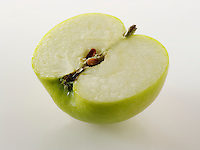 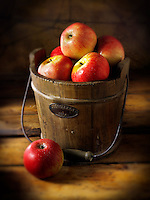 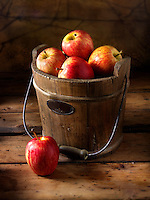 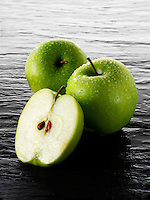 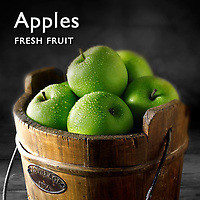 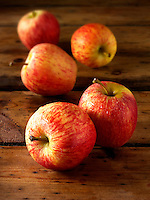 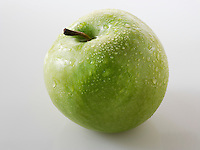 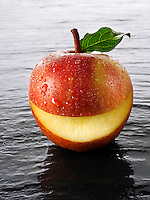 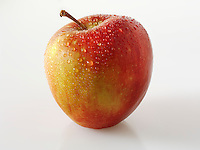 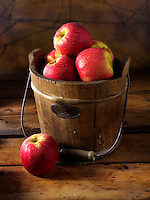 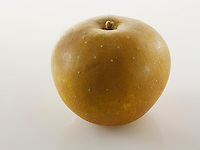 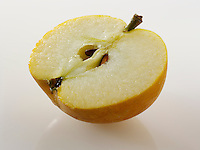 Stock photos & stock pictures gallery of Apples. 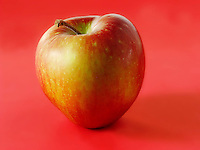 The apple is the pomaceous fruit of the apple tree, species Malus domestica in the rose family (Rosaceae), and is a perennial. 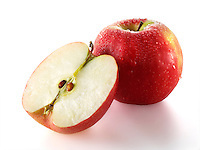 It is one of the most widely cultivated tree fruits, and the most widely known of the many members of genus Malus that are used by humans. 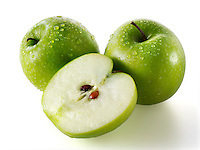 The tree originated in Western Asia, where its wild ancestor is still found today. 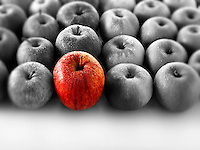 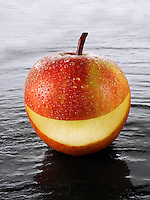 There are more than 7,500 known cultivars of apples, resulting in a range of desired characteristics. 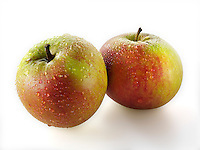 Cultivars vary in their yield and the ultimate size of the tree, even when grown on the same rootstock. 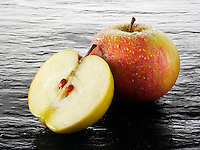 Apples appear in many religious traditions, often as a mystical or forbidden fruit. 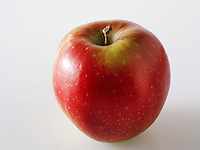 One of the problems identifying apples in religion, mythology and folktales is that the word "apple" was used as a generic term for all foreign fruit, other than berries. 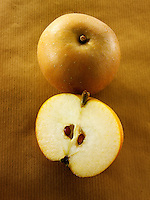 The center of diversity of the genus Malus is in eastern Turkey. The apple tree was perhaps the earliest tree to be cultivated,] and its fruits have been improved through selection over thousands of years. 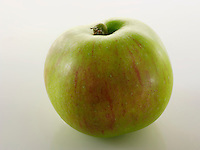 Alexander the Great is credited with finding dwarfed apples in Asia Minor in 300 BCE; those he brought back to Macedonia might have been the progenitors of dwarfing root stocks. 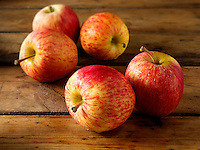 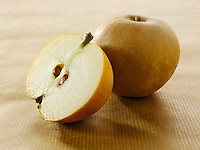 Winter apples, picked in late autumn and stored just above freezing, have been an important food in Asia and Europe for millennia, as well as in Argentina and in the United States since the arrival of Europeans. 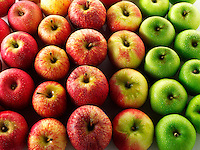 Apples were brought to North America with colonists in the 17th century, and the first apple orchard on the North American continent was said to be near Boston in 1625. 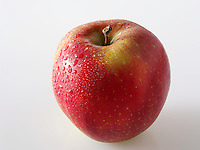 In the 20th century, irrigation projects in Washington state began and allowed the development of the multibillion dollar fruit industry, of which the apple is the leading species. 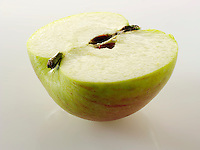 Buy all the stock photos in this gallery on line as Royalty Free or Rights managed stock photo. The stock pictures & stock images are all high resolution digital stock photos made award winning professional photographer Paul Williams.